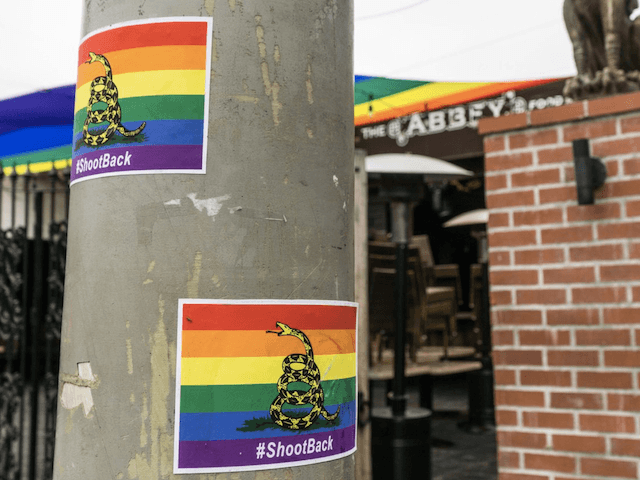 WeHo residents took to Twitter to post photos of the signs, which feature the signature Gadsden snake with the phrase “Don’t Tread on Me,” above the hashtag #ShootBack. The signs were reportedly placed all over West Hollywood, including in front of City Hall, at the Pacific Design Center, and in front of popular gay lounge The Abbey. Some of the social media posters expressed their support for the pro-LGBT, pro-gun sentiment of the signs, but at least one WeHo public official was less than enthused. 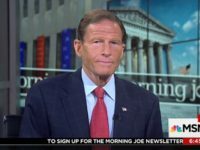 The signs are apparently a response to the deadly terror attack in Orlando, Florida earlier this week, in which a gunman who reportedly pledged allegiance to the Islamic State opened fire at the gay nightclub Pulse, killing 49 people and wounding 53 more in one of the deadliest shooting attacks in American history. West Hollywood director of public works Oscar Delgado told the Times that city cleanup crews would remove signs that are placed in the public right of way. Los Angeles County Sheriff’s Department Capt. Holly Perez told the paper she began alerting other sheriff’s deputies when she notices the signs were being placed on public property. The term “bad message” suggests that the city might be removing the signs based on their content alone, which would be a direct violation of the First Amendment. Mourners held a candlelight vigil in front of Los Angeles City Hall earlier this week, where thousands paid their final respects to the victims of the deadly attack. Pop star Lady Gaga led the vigil alongside representatives from Southern California LGBT organizations.